These are made of Adhesive Speciality labels and will come on a transfer sheet for easy peel and stick. 4 by 5 inches. 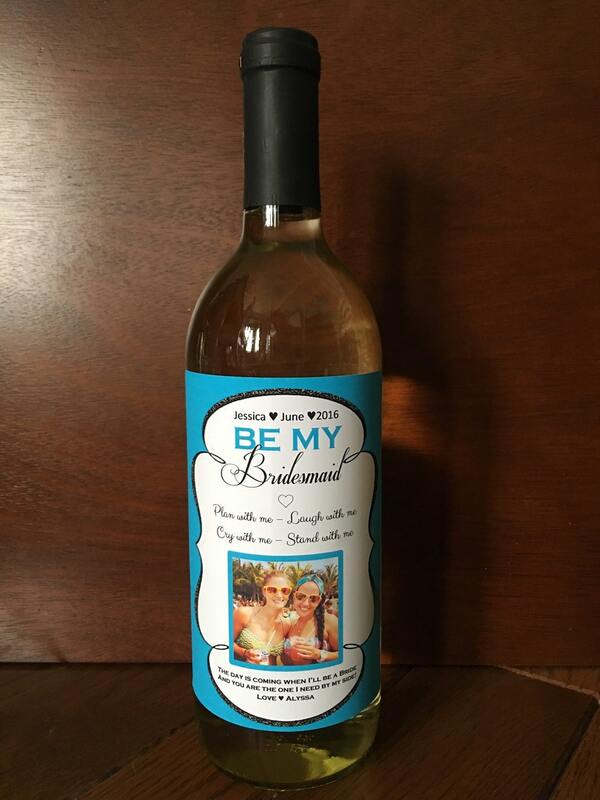 Looks great on small and large wine bottles. 1. Select the amount you need. 1. 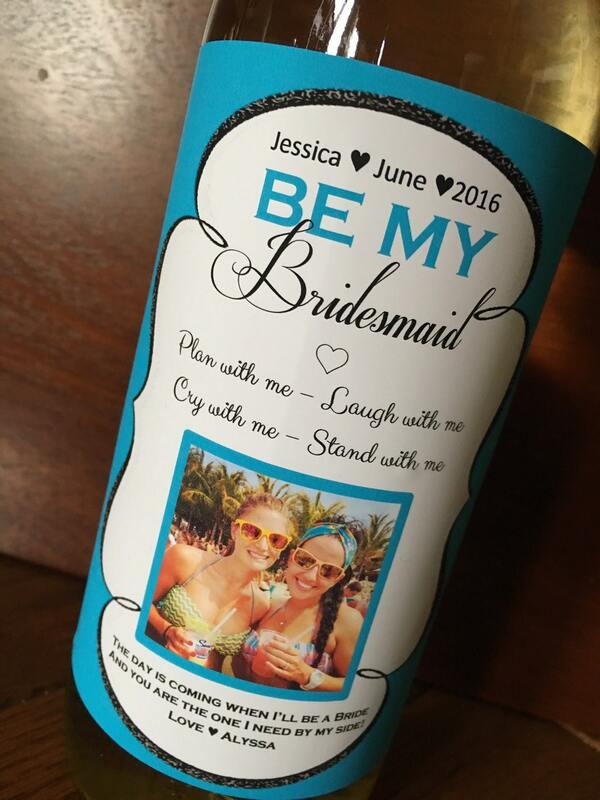 Your name-month of wedding-year of wedding (for the top of the label). 3. Select Color for fonts and background. I can do any color, just specify. I have listed 3-5 days for shipping. This is standard USPS mail with no tracking. Select 2-day priority mail or overnight shipping for tracking and a quicker return time! 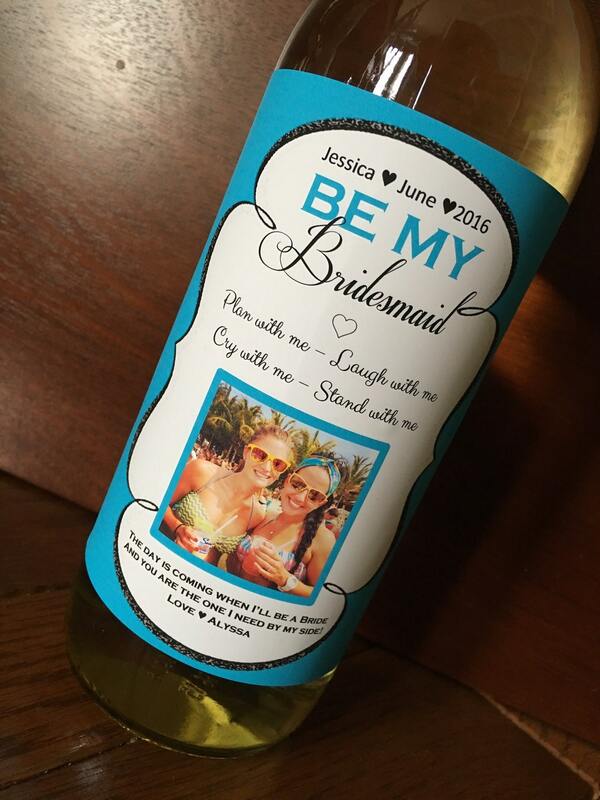 The bridesmaid wine labels turned out great! The pictures were clear and I was able to customize to the colors that I wanted!